GK Coolfoto - elegant portfolio website template from the developers of the design studio GavickPro. Excellent design layout designed to the most recent details, there is built manager, you can customize the appearance of the template according to the requirements. Modern and functional platform Gavern, on which is built the template uses the latest achievements of the web - technology. Thanks to her, the pattern perfectly optimized, compatible with all browsers and works correctly on all screens. Full support for mobile devices and the availability of adaptive functions, complimented by an extensive list of features of the template. In the installation package includes the best club expansion: News Show Pro GK4 and GK5, which are responsible for a flexible display on the site. 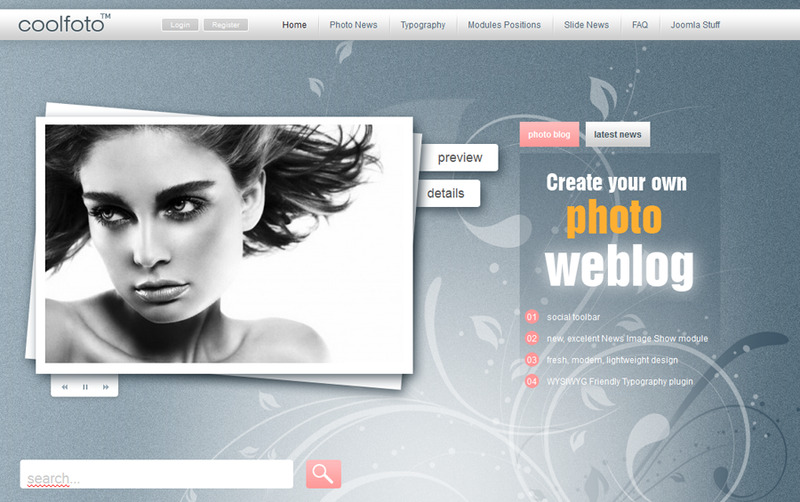 GK Coolfoto - an ideal choice for creating websites that meet all modern requirements and Web - standards.